Why Should I Study this IOSH Course? Studying an IOSH Managing Safely certificate introduces the concepts of Safety Management Systems teaching de-facto best practices for managing health & safety system at work. This course is designed for those employed in managerial roles, including supervisors, team leaders, etc. The importance of Safety Management Systems is often underestimated by many, however well tuned Safety Management Systems are proven to be a significant factor in the success of any business. The aim of this course is to impart the understanding of risks and how to properly manage them to avoid loss or damage. How do you measure up? Try the IOSH Quiz before you buy. Why do I need to Manage Safely? If an IOSH Managing Safely 5.0 prevents a single accident in your workplace it has paid for itself! This IOSH Managing Safely qualification is proven to reduce the risks in a workplace along with making the job of the Health and Safety advisor much more efficient. IOSH – The Institute of Occupational Safety & Health. Supervisors, Line Managers, Team Leaders. Suitable for any working environment. Typically 30 hours, to be completed within 6 Months from start date. eLearning – This course is studied entirely online with unlimited tutor support at no extra cost (also available as a classroom course, ask us for details). There are 7 modules to study, covering a broad range of topics. Once you’ve covered all the topics, it’s time for you to attempt the exam and project. Course grades are broken down into two parts, an exam and a project. One online multi-choice examination consisting on 30 interactive questions, thoughtfully created by IOSH. One work-based project assignment – essentially this is a Risk Assessment, based on a real-life scenario assessed by your dedicated tutor. Once you have successfully gained the IOSH Managing Safely certificate, we have a number of health & safety courses, which offer to expand your knowledge and skill sets, opening further career options to a better job, maybe even better pay. The NEBOSH General certificate in health & safety is a great next step which many choose as their next qualification, ask us for advice if you’re unsure where to go next if you want to progress your career further. Study Modules - What you will learn from this course. Module 1: Introduction Course overview. Why it is important to manage safely. What your role in influencing managing safely is. Module 2: Assessing Risks What a risk is. Module 3: Controlling Risks How to reduce risks. Module 4: Understanding Responsibilities What the law requires you to do. Module 5: Understanding Hazards What common hazards are. Module 6: Investigating Incidents Why incidents are investigated. 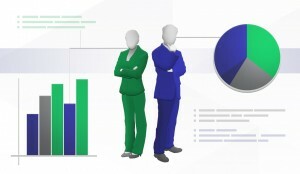 Module 7: Measuring Performance What performance measurement is about. Examination: 30 Online Interactive Questions There are: Multiple Choice, Missing Words, Drag & Drop and Type your Answer questions. These are all part of the timed online examination. Project Assignment: A Work-based Risk Assessment The Project Assignment comprises of a Risk Assessment form, which you must completed based on a fictional or real work-place scenario. Your tutor assesses your risk assessment, providing a grade and feedback. eLearning is an online classroom, your IOSH Managing Safely course can be accessed, any time from anywhere, fully supported by SHEilds team of Tutors in the UK. As an IOSH approved Custom Course Provider we have developed a multitude of interactions to nurture your learning style and stretch your abilities, giving you the best prospects for success during your studies. Implement entirely new health and safety measures to control risks in the workplace. The knock-on effect means money is saved, time is saved and most importantly injuries and fatalities are far less likely to happen. Time for a Quick IOSH Quiz? Go ahead, give the Quiz a try. See what you know. Did you enjoy this IOSH Managing Safely Quiz? Why should I take the IOSH Managing Safely? The managing safely is a level 2 qualification that is designed to teach the basic fundamentals of health and safety management. Carrying a global recognition you can utilise this qualification worldwide. Who should take the IOSH Managing Safely? The IOSH managing safely qualification is designed to be taken by managers, team leaders and supervisors. The course is designed and delivered to give the participant the skills and the knowledge to effectively manage the health and safety within their teams. This qualification is an excellent way to gain the base core knowledge before taking a NEBOSH level 3 certificate. If you are in doubt as to whether this course is right for you take our short IOSH quiz to find out. The training is conducted via the SHEilds e-learning platform which provides you access to your own individual virtual training area. The training has been designed to be user friendly, informative and interactive. The course includes drag and drop, puzzles and missing word activities etc to help keep you engaged. There is access to videos, forums, tutor support etc. At every step of the way you have access to our team of highly trained tutors who are on hand to answer any questions you may have. These tools that we have built into the course aid the retention of the information learnt, meaning that not only will you be able to successfully pass the examinations you will be able to make a difference in your own workplace. 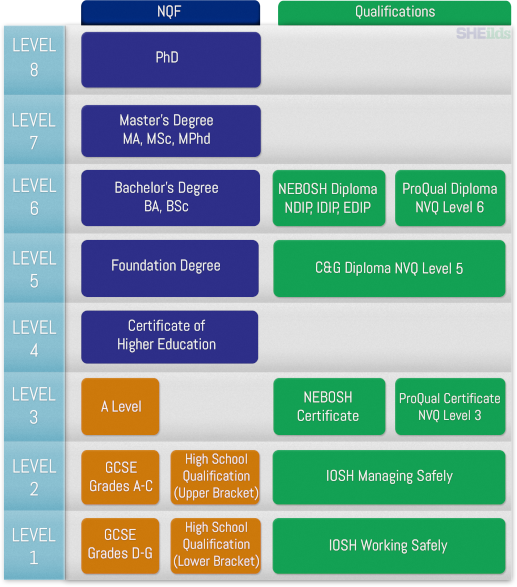 What level is the IOSH Managing Safely? The IOSH managing safely course sits at level 2 on the qualifications framework. The course is designed to be completed within 35 hours study time however with the flexibility of the SHEilds e-learning platform this can be undertaken at your own speed. Some students decide to treat it as a classroom and sit each day until completed, others utilise their evenings and weekends and some study an hour or two adhoc as their schedule allows. Your access to the course has a limited duration meaning you must complete the study and examination within 24 weeks of registration. How and where do I take my examination? The course requires you to complete a two part examination to successfully pass and be eligible to claim your certificate. Part one is an online timed examination which comprises of Multiple Choice, Missing Words, Drag & Drop and Type your Answer questions. Part two is the Project Assignment which comprises of a Risk Assessment form. This risk assessment form must be completed by you and can be based on a fictional or real work-place scenario. This is then submitted via the SHEilds e-learning portal and is graded by your tutor.